Teenage King Penguin (Aptenodytes patagonicus) chick begging for food at St. Andrew's Bay, South Georgia Island. Many baby penguin chicks spend a lot of time begging their parents (or other adult penguins) for food. Parents penguins can recognize their young and will only feed their own chicks. Many adults are followed by several chicks at a time, but the babies not belonging to the adults would eventually give up, allowing the parent to then feed the chosen one. Many baby penguin chicks spend a lot of time begging their parents (or other adult penguins) for food. 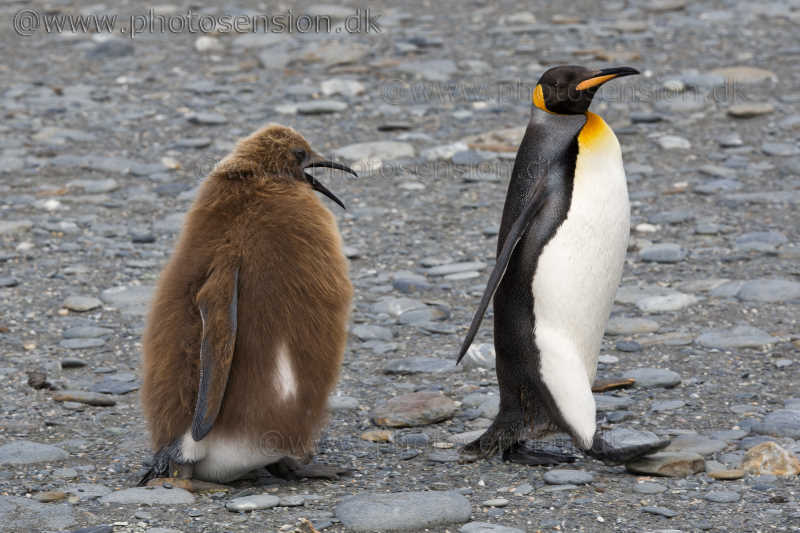 Parents penguins can recognize their young and will only feed their own chicks.